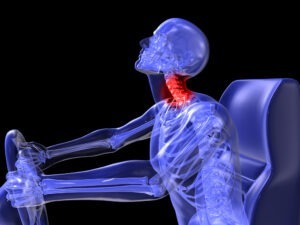 HAVE YOU SUFFERED A SPINAL CORD INJURY? If you have suffered a spinal cord injury, you have many questions. There is no doubt that you are worrying how you will manage your daily personal care needs at home. You're probably wondering if you can get appropriate care at home. You want to know what type of home care you will need. How are you going to pay for home care. Finally, you will want to know where to find great home care providers. Can I get appropriate home care for my spinal cord injury? Yes, you can get great home care. Once you have received rehabilitation in a hospital you will eventually be discharged home. This is a frightening prospect for some people because of worries about the type of care you’ll get at home. However, you will be able to receive great personal care at home from experienced nurses and personal support workers. Some catheter and bowel care tasks should only be performed by those with experience and deemed competent to perform those tasks. Some tasks may only be performed or delegated by a nurse. Simcoe Senior Services ensures all nursing, personal care, and attendant care is performed to high expected standards. What type of home care will I need for my spinal cord injury? The type and extent of home care you need will depend upon the level of your spinal cord injury. Quadriplegics will require more care than paraplegics because paraplegics can do more of their personal care on their own. You will not be discharged from hospital until it is clear what kind of care you will need. · Many more tasks depending on need. How do I pay for home care, including personal care, for the rest of my life? If you have suffered a spinal cord injury in a motor vehicle accident, you will have likely been assigned a care coordinator. This is the person who will help you find the resources you need to live at home. Resources can be difficult to find and your care coordinator will be instrumental in finding and organizing those resources. Your care coordinator will help you to find appropriate care at home. This will include personal care, attendant care, plus physiotherapy, and a slew of other care modalities. The accident benefits of your insurance company will pay many of these expenses. If you have successfully sued a negligent driver or other party that caused your accident, you will have further funds as a result of any settlement or award. 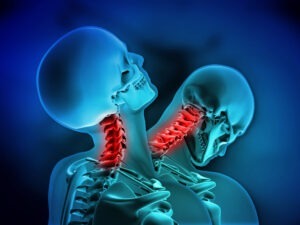 If you have a spinal cord injury suffered as a result of anything other than a motor vehicle accident, you may or may not have successfully sued a negligent person. Therefore, you may not have a large settlement to pay for the personal care you need. If you are not sure if someone else is responsible in law for your injury, call a personal injury lawyer. In the event you do not have resources to help you pay for home care, there are government-funded options. Contact Simcoe Senior Services for further information about your options. Where can I find great home care providers?